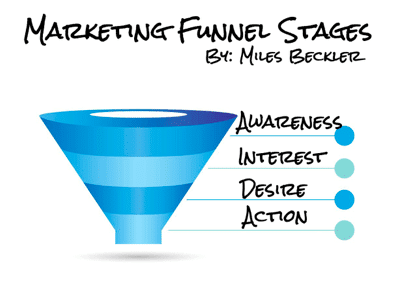 Whether you're just getting started with your online business and internet marketing or you've been around the block and doing this for a while, it's important to know your marketing funnel stages. You’ve heard of the 80/20 rule? Twenty percent of what you do creates 80 percent of your results. 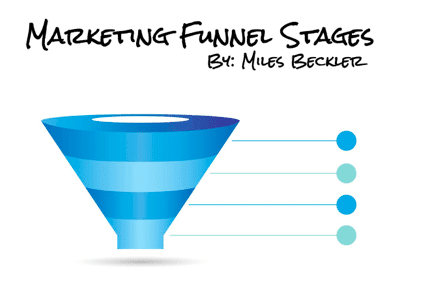 Understanding these stages and the components within your marketing funnel will help you focus your efforts on four key pieces that make all the difference. Here and in this video, I’ve clearly outlined the 20 percent you need to focus your time on to ensure you're creating a successful online business that generates leads and sales. The top level of the funnel is awareness. People don’t actually know who you are yet and the goal is for them to encounter your content in some way shape or form. Now, I love Facebook pay per click advertising for this. I’ve got an entire playlist on YouTube that covers how to create and run ads. Pay per click ads are a form of interruption marketing. You target people who you know have a high likelihood of loving your content, then display your advertisement to them. You make them aware of who you are through paid advertising. Or, you can run a content marketing strategy where you write awesome long form blog posts that answer potential customer’s questions. For instance, someone does a Google search, which is basically: “How do I fix this problem in my life?” Google returns your content as a search result and at that moment they become aware of you. Pinterest marketing works great if you have a physical product or if you're in the health and wellness niche. Say a potential customer is searching through Pinterest for a new meal plan and they find your pin that talks about the awesome meal plan that that does X Y Z in 14 days. They pin that to their board or they click through that pin and go to your website to read the post. At that moment, they've been they've become aware of you. The quickest way to build awareness is through paid traffic but that costs money… The next fastest way is through earned traffic or organic traffic. If you want to go deeper, check out my YouTube playlist about organic traffic or my videos on Facebook advertising. The next step is interest building which comes from your opt-in page. This is your squeeze page or the lead magnet side of things. Now you need to filter all the people who have seen you and become aware of you down to just the people who are interested in what you offer. You do this through a squeeze page where you offer a report, tutorial, case study, or anything of value in exchange for their email address. Let’s use the personal development niche as an example. In the interest building component, people are aware of you based on their pins or the ads that you’re putting up. You know these people are interested in personal development because you’re only showing Facebook ads to people who like Tony Robbins. They see your ad which offers a free video revealing the secret to personal development in seven days. Some people who see the ad will be interested in your seven-day solution and will enter their name and email address on your squeeze page. That’s how they express interest and enter your funnel. From there, it’s your job to build desire. In the video you post, you’ve got to tell them all about this seven-day process that you’ve got. Just lay it all out. If you can do that, you've really got the desire built. You want your potential customer's reaction to be, “Wow. I really like what this person is talking about. I want that end result!” The video can either give value and serve as a transition to sell a product of yours, or an affiliate product – like adding a link to an affiliate at a certain point in the video. You can quickly go from the interest step to the desire step. I call this an ‘OTO’, or a one-time offer. A percentage of those interested already desire what you have. Giving them the opportunity to purchase quickly is a great way to recoup your advertising cost. It allows you to put more money toward the awareness level which will bring more people down into your funnel quickly. After you go from the interest level to the desire level, your email follow up sequence is the next big component. It’s best to use the Gary Vaynerchuk idea: jab jab jab right hook! After they opt in, give them more content. In fact, give give give. That's what the jab jab jab right hook is all about. In your email sequence give valuable content to help them know you, like you, and trust you. Then you ask for the sale. You’re also building credibility and your relationship. With e-mail marketing, you just keep going using the give give give methodology. My wife and I mail our list of about 90,000 people just about every single day. We do this because the timing's not always perfect for everyone. We want to stay on the top of their minds and continue to give of ourselves to show our expertise. When the timing is right for them, we're right there in their inbox and they're ready to purchase because during the relationship building process we've built enough desire. In essence, really compel them to take action. If you're building an affiliate marketing funnel, the action is clicking on your affiliate link. You’re pre-selling the content. When they click, you’ve done your job and it's up to the vendor to actually sell the product. Awareness – they don’t know who you are. You need to make sure they do. Build interest - Once they know who you are they need to become interested in your story, in your successes, and in how you can help them. Build desire - Show them they need to have that which you can offer. Call to Action - Offer them a mechanism to obtain it from you or from a partner vendor through an affiliate link. It really is that simple. So many people make the marketing funnel so complicated but it’s just these four simple steps. If you're just getting started, lay out your roadmap of what those steps are going to be. Just rough it out - you can always change it. If you're currently marketing, figure out which component you don't have in play yet or which one isn't working the best and zoom in on that area. What you'll find is that you can put money back into advertising. Ads turn into leads, leads turn into customers. Take your profits and pump it right back into more ads. Keep pumping it into more ads, grow a bigger list, and develop your back-end sales. Then, you’ve created a lifestyle business online. Hey Mile, My Name Is Lenny @ lennymarrero.com. I have Been Following You For A Few Months. You Have Brilliant Information. 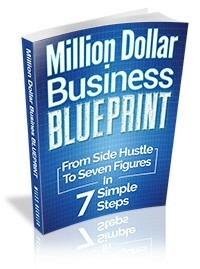 The Reason For My Email Is To Ask You If You Have A Blueprint Of Different Road Maps Step By Step.